Identification of interference signals is critical in telecommunication systems increasing the need for automated signal identification. As deep convolutional neural networks demonstrate significant achievements in pattern recognition problems, it can be inferred that deep learning methods will give successful results in the field of wireless communications, especially about identification of signal. This paper investigates a new approach of signal identification based on deep convolutional neural network with the convolution architecture for feature extraction (CAFFE) framework. 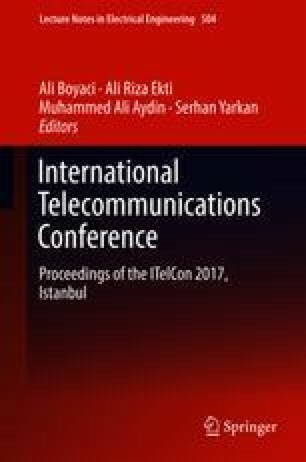 Authors provide the identification for the types of interference signals based on non-conforming digital enhanced cordless telecommunications (DECT) devices. For training NVIDIA-DIGITS, the NVIDIA Deep Learning GPU Training System, is used. The classification accuracy of the system under additive white Gaussian noise and Rayleigh fading channel conditions is observed to be high despite low signal to noise ratio values.